Franz Julius Delitzsch (1813 - 1890) was the leading German Hebraist of Lutheran faith in the 19th century. Some contemporaries assert his real father was a Jew by name of F. J. Hirsch, who was his godfather. His knowledge of Jewish and Hebrew scriptures was enormous; he wrote several commentaries mostly on OT books e. g. Genesis, Psalms, Song of Songs, Isaiah. 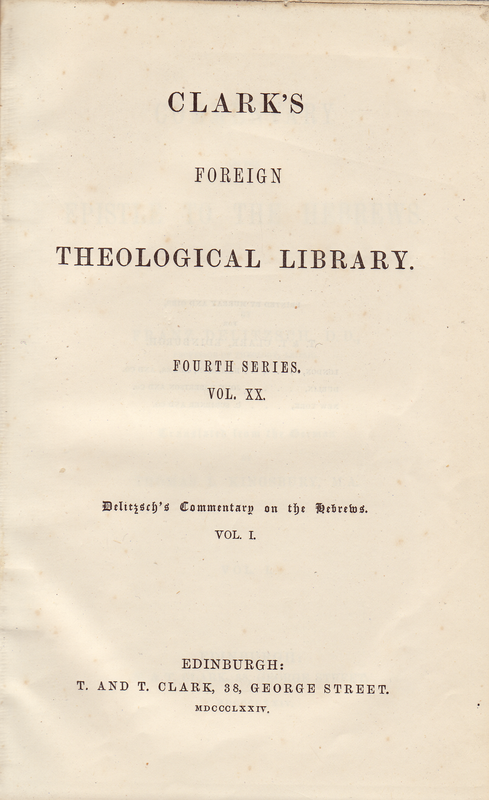 In 1877 the 1st ed. of his translation of the NT into biblical Hebrew was published, which is until today the most famous of its kind. 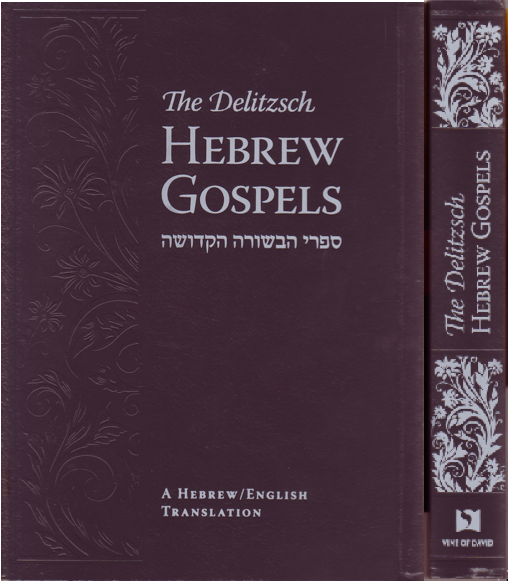 Delitzsch wanted to preserve as much continuity as possible between the Hebrew Scriptures and the New Testament; concepts which couldn't be represented in the biblical language, he borrowed from the talmudic and mishnaic Hebrew. Until today it serves as the most accurate translation; many Jewish people throughout the decades have found their Messiah through this Brith haChadasha. Delitzsch based his first edition on the Codex Sinaiticus, the subsequent ones on the Textus receptus (at the behest of the British & Foreign Bible Society); later ones incorporated readings from the latest then available manuscripts. "Vine of David" are the first publishers to translate the Gospels into English from the Hebrew, designed to bring the most out of the historical and cultural context of the first century C.E. Judaism. Click here for sample verses from the version by Franz J. Delitzsch. 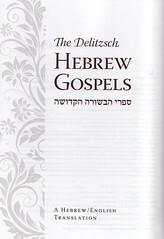 Title: The Delitzsch Hebrew Gospels "DHE". ספרי הבשורה הקדושה ● A Hebrew/ English Translation. Publisher: Boaz Michael; Chief Translator: Aaron Eby; Translator: Robert Morris; et altera. 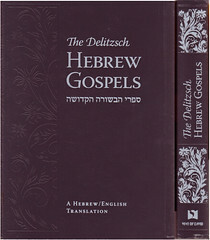 Contents: The Gospels, translated from the Hebrew. Prefaces, Introduction, Prayers & Blessings; Layout and Features; Reference Material, Maps & Charts, Indexes. 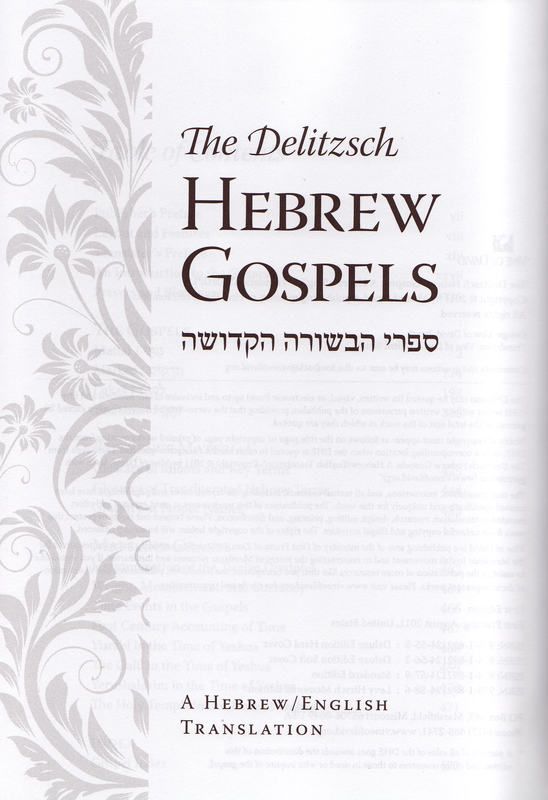 Additions to the Gospel Book are a seperate booklet "A Christian's Guide to The Delitzsch Hebrew Gospels" and a CD. Comments: Hardbound octavo, XLVI and 481 pp. ; Book opens from the rear. Hebrew text on the right, translation on left page. Wide margin for word explanations, alternative readings etc. Delitzsch' Hebrew translation is the 11th edition of 1892 which was published shorty after his death. Underlying Greek is basically the TR and other manuscripts available at that time. English translation rendered quite literally; personal and place names in Hebrew, not Greek. Title: Commentary on the Epistle to the Hebrews. 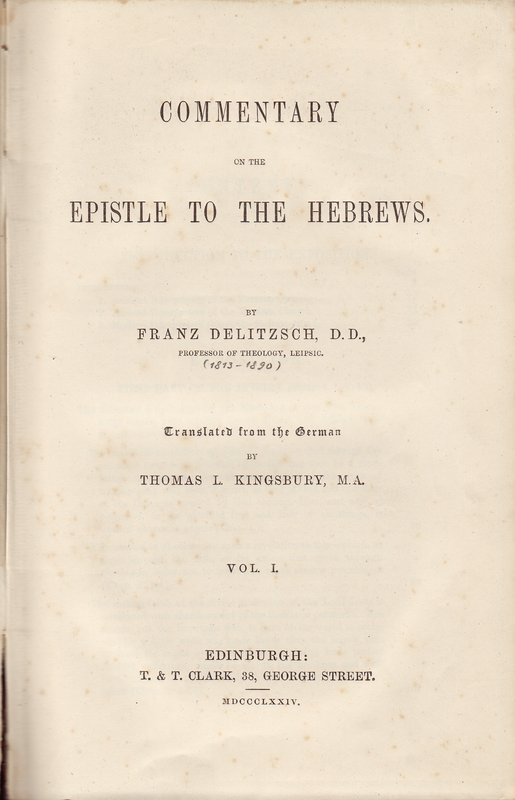 [With Translation] by Franz Delitzsch, D. D., Professor of Theology, Leipsic. Translated from the German by Thomas L. Kingsbury, M.A. Comments: Clothboard, octavo, IX, & 404 pp. F. Delitzsch wrote a Preface to this Commentary incl. translation dated Erlangen, 30th Sept. 1857. The extensive introduction also includes the dozens of hitherto published commentaries that D. used for his work and comments on them. The translation is that from his German commentary. There are Greek sections included. Excursus on the Talmudic tract 'Sanhedrin' relating to the coming of the Messiah and some additional notes make this book a valuable source. To distinguish the translation from the commentary, it is printed in italics.